If you are looking to buy or sell an AMG Mercedes-Benz part, please feel free to add it below; just use the “Comment” field to add the info (free). Search Site for AMG Mercedes-Benz Parts here. Another resource for AMG parts is the Mercedes-Benz EPCnet Online – Electronic Parts Catalog (EPCnet Online – free subscription). 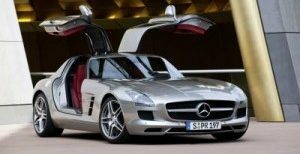 It is the official Mercedes-Benz USA, LLC site for hosting spare parts documentation for Mercedes-Benz cars and light trucks sold in the USA. EPCnet is a browser-based Electronic Parts Catalog which allows the user to specify virtually every spare part for the Mercedes-Benz models covered. An intuitive graphical user interface permits easy navigation through the extensive parts catalog. Tutorials are available at no charge to help familiarize both new and experienced users with the Mercedes-Benz spare parts group system and the selection of the appropriate part for your particular vehicle. A subscription is necessary to use this application. Before subscribing, we strongly recommend that you review all of the information under the Getting Started and About Site tabs. Please be advised that you need to install the necessary plug-ins to view the site content, as explained on the About Site / Tech Requirements pages. Also available AMG trunk spoiler for the same model years. My 2000 E55 AMG doesn’t get up and go like it’s supposed to. My mechanic suggested that I start looking for a catalytic converter to possibly fix the problem. Any information would greatly be appreciated. You might want to try either a MB dealership or a muffler shop; both will likely know if that is the problem. I’d want to know if that “is the problem” before investing in a new cat converter. Hi would you have a second hand AMG front bumper for a 1995 220c 124 series or could you tell me where I could find one. Where are you located? There are several suppliers throughout the world for used parts. New parts can be purchased from your local Mercedes-Benz dealer. Luis is looking for a 300SL. If anyone can help him out please leave a comment below. The 1957 300SL Ro (Mercedes-Benz Roadster) is no longer for sale. We do have several contacts that are in the 300SL market so let me know if you are looking for one to buy or sell. I am in Argentina. And I am looking to buy one that need work to be done and not so high in price. I need a “+” steering wheel paddle shifter mechanism for a 2003 SL55AMG or a steering wheel that i could take the part from. I am in Canada but will buy from anywhere. I am looking for the tow covers on the bumper for my SL 55 AMG 1992 model, any ideas? If they don’t have it, try the MBUSA Classic Center in Irvin, CA – they can help you find it. I am looking for AMG groung effects package for 88 560 sec, and 92 300e. We don’t ship to Thailand at this time but we’ll see if we can find someone that does. Anyone have a resource? Please leave your comment if so – thanks. I have a 93 320CE Cabriolet with a Amg body kit. I need a set of foglights. Anyone have info as to where to source them??? I have an AMG Lower Front Bumper Grille (Center). AMG part # 230 885 17 53. Please contact me for more info. Thanks. Can I see picture of what you got? I might need that. Need price quote and condition. i have one in stock.. email me.. i have plenty of parts for w126 coupes..
euro headlights.. ground effect kit..
Hi do you have an AMG steering wheel for a 126 sec? and well the transmission is acting up so I want to part the car out for very cheap prices if i can get it off the car and package it, I will sell it. Timming covers gone already. I need grill of AMG front bumper for BENZ R-class? Can you ship it to Kazakhstan, Astana? 1) An old style, with the rectangular tips, AMG muffler. Ideally it would be for a 124-036 (500E) but since that was a “Japan Only” item I would settle for just about anything, new or used. 2) AMG airbox, this would have “/////AMG” instead of “Mercedes-Benz” on either side. I believe the part number is HWA 119-090-0301 and was made by Mann for AMG. I’m looking for Amg Mercedes 560 SEC of 1987 WDB 126 front bumper widebody kit, with 6.0 liter 450 horsepower,Cd suspension amg,3.46:1 differential gleason Torsen and transmission module. Do you sell some kind of computer “chip” to improve the hi performance parameters that are standard in the 380, 420, and 560 engines in years 83,84,85, 86,87,88,89.thanks you in advance for your anticipated expertise in this matter . Also please include all sales fliers w/ pricing and installation instructions. If anyone can point him in the right direction, please leave a comment below – thx. where can i find a circ. 1985-ish AMG steering wheel for the W201 2.3-16? I am selling Renn Tech headers that fit any AMG 63 engine.. They are new in box. List price is $4,999+ tax. I am letting them go for $4000. I am located in Scottsdale, AZ. Any questions, feel free to email me! Here is a link to a picture of them. or part specifications for 117962/ 117963 engines. Preferably camshafts, intake manifolds etc. We have the finest used transmissions for sale if you want to check them out. where can I find headers for 560 sec ( 126 body )??????? Hello, i’m looking for an amg body kit for 560 sec wide body. I need all the part or at least the fenders. Thank you. I’m looking for a set of 19″ AMG Monoblock 1 or 2 rims. Please let me know if you have one for sale. Thank you. I have a 1986 Mercedes 500 SEC AMG for sale. Belonge to my nephew, has been painted as it is coming off of the aluminum on the back bumper. It was his daily driver until he got his Toyota. LOOKING TO BUY AN AMG KIT FOR MY 1985 SEC 500 BENZ. LOOKING FOR WIDE BODY AND ANY PERFORMANCE PARTS AVAILABLE FOR THIS YEAR. HAVE CASH ON HAND AND READY JUST LOOKING FOR THE RIGHT SELLER. I am looking for a shift knob for my 2003 C32 AMG, also a flat bottom steering wheel.